Cloudy with a slight breeze up here today. Congratulations to Clinton Codyre for his Hole in 1 on Saturday on #15. This is his 4th hole in one, he made the local news when he played at Trentham 20 years ago when he got a hole in one on #13 plus the following day got a another hole in 1 at Trentham and Guess what hole!!! Yep #13. This weekend is the Club Championship Round 1 for the Men and Women – Good Luck to you all!!! Last Saturday we hosted three Interclub teams and I am proud to say all our teams that played at home WON, they were Women’s MAT, Division 7 and Division 1 – Awesome Result!!!! Division 4 had a loss at Kapiti, they were pretty happy with the 10-5 score. It Keeps them in touch with Judgeford who happened to have a draw at home to Otaki, so they are only trailing by 2 points with three home games left. Player of the day went to Mark Jones and their little blue friend was back in action with Steve Heller making this a permanent fixture on his bag with a 6 & 5 loss. Not sure what happen to Division 9!!!! Have you paid your Subs!!! Golfer of the Year Round 2 on Sunday was 1st Mick Dearmer 2nd Wayne Turner 3rd Gregory Idour they will be joining Clinton Codyre, Noel Kahui and John West from Round 1 with a place in the final on Sunday 16th December. Round three is on Sunday 20th May. Sunday – Matchplay Champs for Men and Women. Wednesday – Anzac Day. – Clubrooms Closed all day. 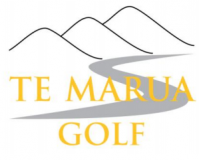 Saturday 28th April Interclub teams 4,7 9 and Women’s MAT playing at Te Marua – Limited Tee Times.